Georgia Silcox who, at the Combined Events in Millfield, was crowned County Champion with a new PB score in the Senior Girls Heptathlon. Lottie Garrett won bronze medal in the Heptathlon. Elise Thorner... gained silver medal in the Inter Girls with a new PB score. Toby Sauter was also First in the Inter Boys Octathlon with a big PB points score. At the BUCS championships in Bedford there were a number of YOAC athletes competing for their University Teams. Lilly Hawkins ran a superb 1500m heat then followed up with a PB in the Semi Final on her 21st Birthday to qualify for the final. Sam Sommerville also ran a great PB of 3.56.18 in the 1500m Semi-Final & just missed out on a place in the final. Ziana Azariah & Joe Trickey competed on the Field in Hammer and Discus. 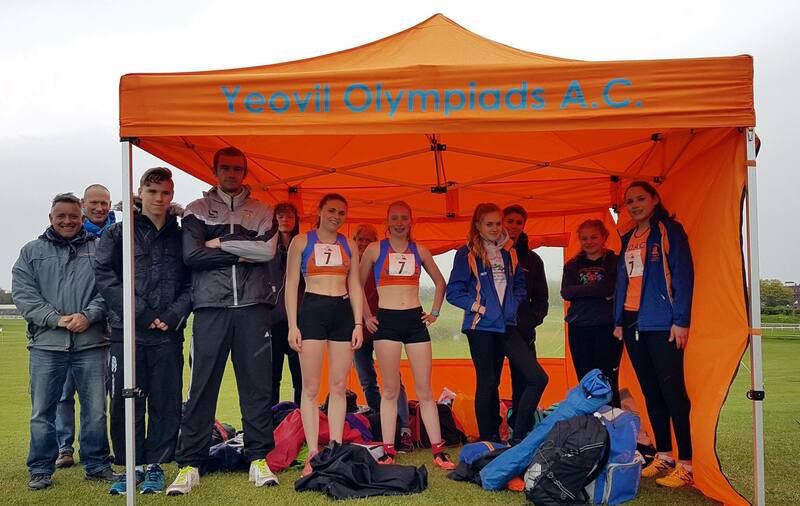 A small but dedicated group of athletes travelled to Hereford for the first YDL U17/20 match of the season. The team performed well in very windy conditions and came away in 4th place out of 7 teams, A solid start to the season! Monday saw the BMC PB classic at Millfield where a number of YOAC/WCH athletes gained new PBs or SBs in 800/1500 & 3000m races.